Ho Chi Minh City inaugurated two flyovers yesterday at Hang Xanh and Thu Duc roundabouts to ease traffic across these busy roads. Attending the inaugural ribbon cutting ceremony were comrades Le Thanh Hai, Secretary of the City Party Committee; Nguyen Van Cong, Deputy Minister of Transport; Nguyen Van Dua, Vice Secretary of the City Party Committee; and Nguyen Huu Tin, Vice Chairman of the City People's Committee. 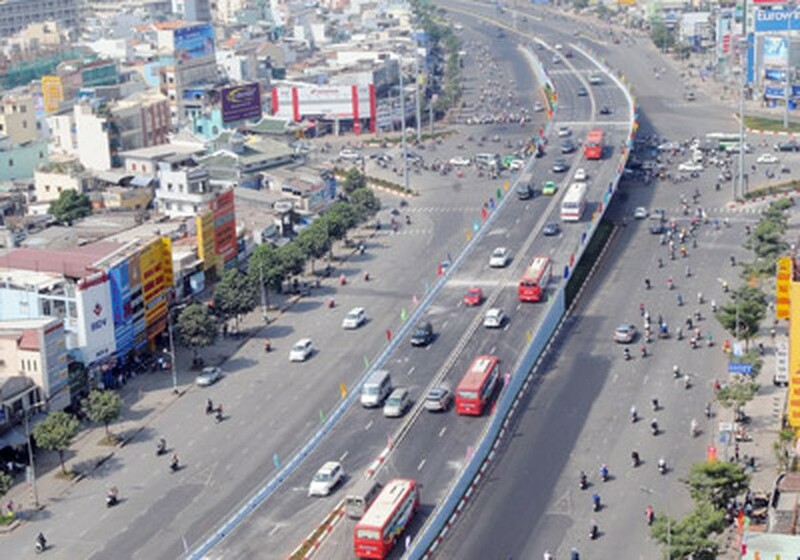 The four lane Hang Xanh flyover was built at a cost of VND188 billion (US$9 million), and connects Dien Bien Phu Street with Hanoi Highway. The 390m long and 16m broad flyover is closed to motorbikes and heavy vehicles and has a speed limit of 40kph. The four lane Thu Duc flyover is 570m long and 16m wide and built at a cost of VND277 billion ($13 million) with speed limit of 60kph. Both the flyovers were completed in 3-4 months. 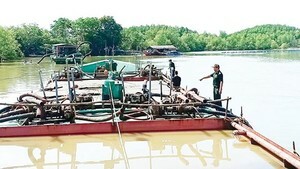 Nguyen Huu Tin, deputy chairman of City People's Committee, said in 2012 despite difficult economic times, with the commitment of city leaders and the efforts of relevant departments and units, a series of works were completed that changed the face of the City such as Rach Chiec Bridge; provincial highways 25B-Red Bridge; Go Dua intersections in Thu Duc District; My Thuy Bridge in District 2; Phu Long Bridge in District 12; Suoi Cai Bridge in Thu Duc District; Hoang Sa and Truong Sa Roads; inter-provincial road 25B; and Bang Ky Bridge. He affirmed that more flyovers would be built to ease traffic congestion. on Hoang Van Thu-Cong Hoa Crossroad in Tan Binh District; Cay Go Intersection in District 6; Nguyen Tri Phuong-3/2 Crossroad in District 10; and Hoang Hoa Tham-Cong Hoa Intersection in Tan Binh District.